The new studio album by John Lees’ Barclay James Harvest, “North” is released on October 7th 2013 on the Esoteric Antenna label, (part of the Cherry Red Records Group). The album will be backed by a full UK tour in November. “North” is the band’s first all new studio recording since “Nexus” (released in 1999). Featuring John Lees (vocals, guitars), Craig Fletcher (vocals, bass), Jez Smith (keyboards, vocals) and Kevin Whitehead (drums, percussion), the record is very much a group effort, in the tradition of classic BJH, with every track being written specifically for the album by all four members of the band. The album draws on the fine musical heritage of Barclay James Harvest whilst bringing the BJH legacy up to date with expansive compositions and thoughtful lyrics. Featuring several epic compositions such as “On Leave”, the album also includes the recent digital single “Unreservedly Yours” and “Ancient Waves”, a song inspired by the Iraq conflict, performed live in more recent times. The band’s Northern roots are explored both musically and lyrically on the album’s lengthy title track and the emotive finale, “The End of the Day”, featuring music set to a poem by early 20th Century Northern poet Ammon Wrigley. “North” continues the Barclay James Harvest story and is the strongest work to emerge from the band in many years, a true group effort by John Lees, Craig Fletcher, Jez Smith and Kevin Whitehead. 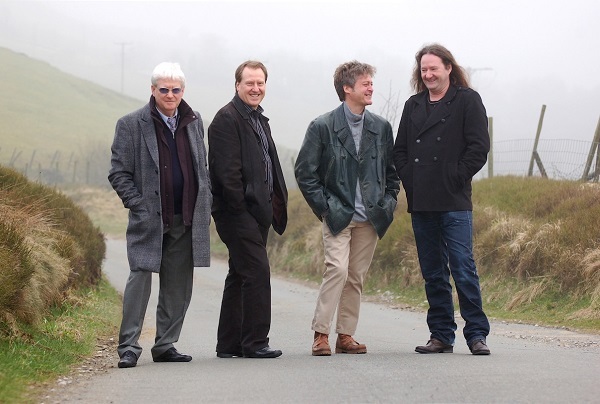 The album will be released as a standard single CD edition and a deluxe limited edition 2CD digi-pack release which includes a previously unreleased bonus CD featuring highlights of the band’s sold out concert at Buxton Opera House in February 2011, featuring classic Barclay James Harvest material. “North” is also available as a limited edition gatefold 180 gram vinyl LP. The UK tour in November 2013 will see them joined by special guests GORDON GILTRAP and OLIVER WAKEMAN on every show with the exception of Edinburgh (where they are joined by opening special guest ANNE-MARIE HELDER of Panic Room / Mostly Autumn).